The Hotel Lancaster has been newly renovated just for you. 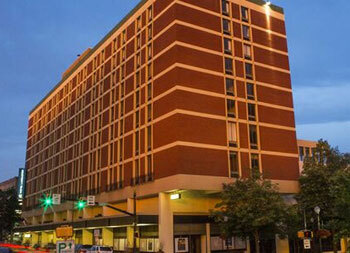 Located in historic downtown Lancaster in the heart of Lancaster’s cultural district, The Hotel Lancaster is just two blocks from the Lancaster Convention Center, the Central Market, the Fulton Theatre, and dozens of the fine shops, restaurants, pubs, and businesses located in downtown Lancaster. And yet, in 15-20 minutes you can out in the Amish farmlands and at many of the major Lancaster area attractions that lie just outside of the city limits. Their guest rooms feature oversized and comfortable accommodations that are perfect for business and leisure travelers as well as groups. They offer rooms with King, Queen, and double Queen beds. Hotel amenities include complimentary WiFi, a complimentary Lancaster style breakfast, and convenient adjacent parking. See their extensive photo gallery along with a welcome video to the hotel. If you have a special event in your future, talk to The Hotel Lancaster about how they can meet your needs. Weddings – Lancaster is becoming increasing popular destination for weddings. There are many wedding venues located nearby, and The Hotel Lancaster offers special pricing for guests attending wedding receptions at these nearby sites.